Hello fellows! I have been playing a fair bit with Marmoset lately and I am very happy with the product. 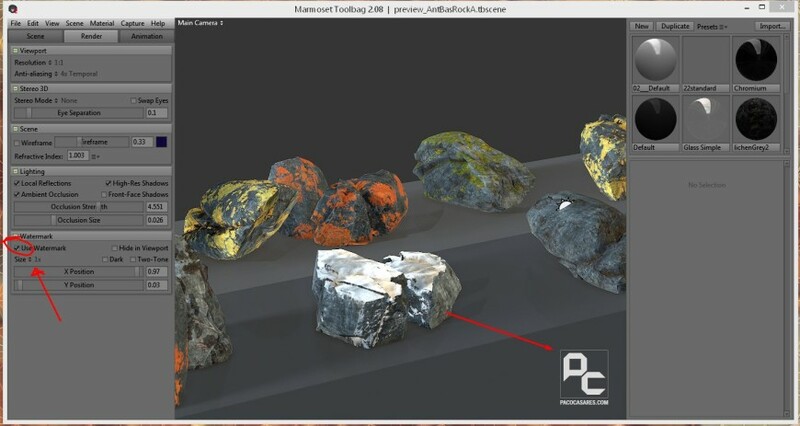 It allows really easily to test assets and to place them in a PBR environment to see how they fit together. Lately however I thought: Every time I save a screenshot from Marmoset, I want to make sure that the screenshot is branded so anyone that comes across with the image: can track who made the artist is. Edit the watermark in Photoshop, make sure you create a _original just in case you make a mess of it or you want to return to what it used to be. The best way to make sure that you keep the formatting and dimensions right is to edit the original after you make a copy. Analyse the image. It uses a mark in the red channel for the white color and for the accent the green channel while maintaining the alpha channel. 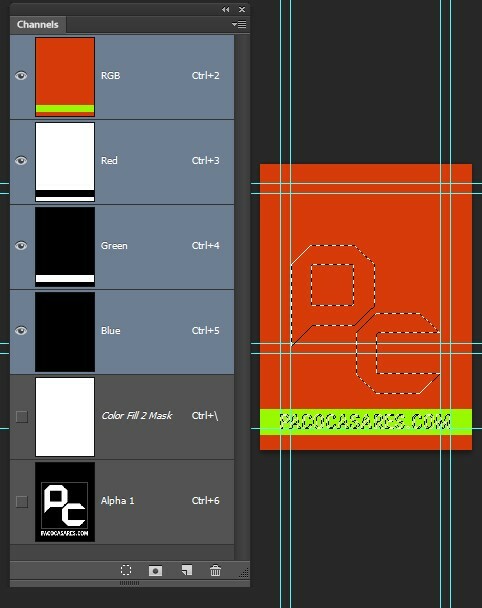 Design a PSD file so you can design it to your needs. Here My main focus was a logo with my site name. Perhaps you want to keep it simple and just have your website? Your email? However keep in mind to keep the design in mono color conventions. No mona lisa here. Test to see how it looks in marmoset. It might not look right. Remember not to make a design that’s too distracting as this is about showing your best work, and for people to have a reference from where it came from! Here I used guides and a pixel perfect sense. 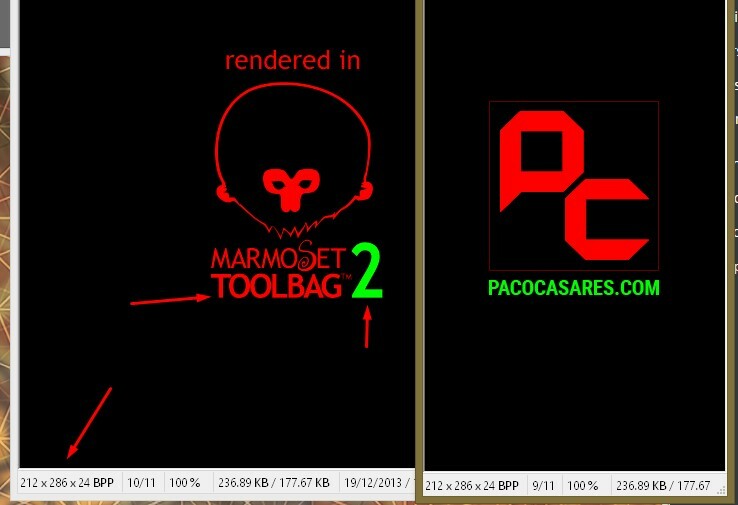 Last and not least, remember to keep a copy of the original (name it _original) and an additional copy of yours as _edited as marmoset likes to re-update all files after the updates.I hope this helps you out! Let me know how it goes, would be glad to see how it looks. If anyone can also find out how you can set up the colors (and the accent instead of using that shade of pink) Please let me know so I can update this!